The iCAM502’s elegant form factor lends itself to single handed operation even when wearing gloves and, weighing less than 200g, it’s convenient to carry in your pocket. 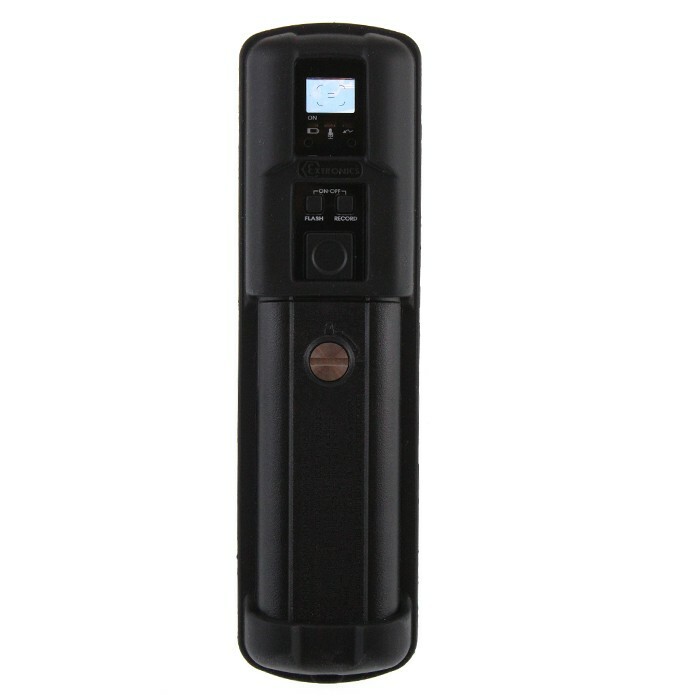 Powered by standard alkaline cells, the iCAM502 is ready to use anytime, any place. Equipped with an advanced anti-shake and image sharpness analysis, the iCAM502 provides consistently high quality images. Instant feedback is given to the user via 3 LEDs, which flash alongside an audible beep to signify image quality. Voice annotations can be added to images and are stored as a .wav file corresponding to the image file name. Additionally, all images are date and time stamped to create a chronological history and make it easy to identify each photograph. The iCAM502 can take high resolution images at distance, providing greater detail of equipment or larger areas such as plant rooms and buildings. It can also take close-ups, producing pin-sharp images as close as 5cm from the object, making it ideal for inspections or images of rating plates. The super bright 4 LED flash allows for picture capture in very poor light conditions, such as underneath equipment. Variable flash technology provides the correct amount of illumination required, reducing flashback on reflective objects. The rugged injection moulded anti-static plastic housing and removable silicon rubber casing are very durable and rated IP65, making the iCAM502 suitable for use in the most arduous environments. The iCAM502 has a 1GB memory, allowing storage of approximately 5,000 JPEG images without any audio recording and additional 960Kbytes per minute for audio. Transfer data to any safe area computer in three simple steps; open, connect directly via a USB port (no need for an external protection barrier), and transfer data utilising the Picture Transfer Protocol (PTP), which is initiated automatically.